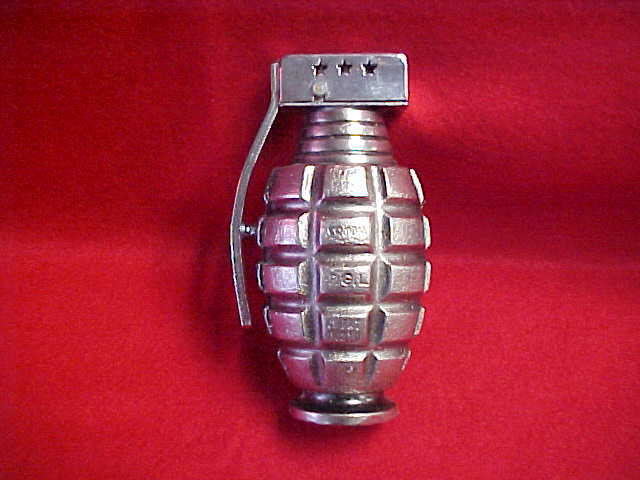 Hand grenade lighter. Working condition. It is marked on the side "combat P.G.L. date pat. 14210". 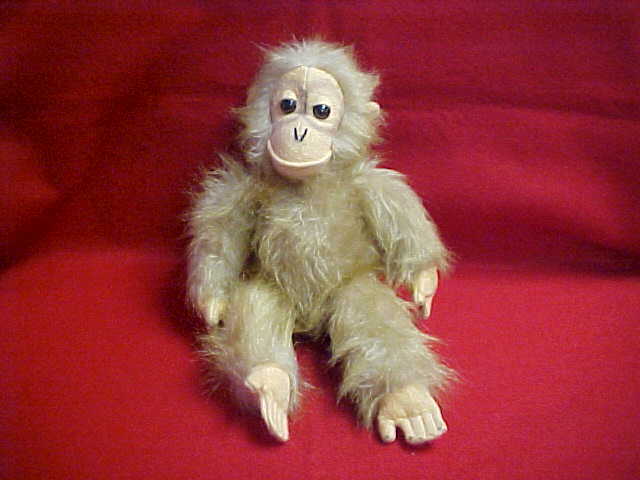 Dakin chimp stuffed doll. Tan fur. 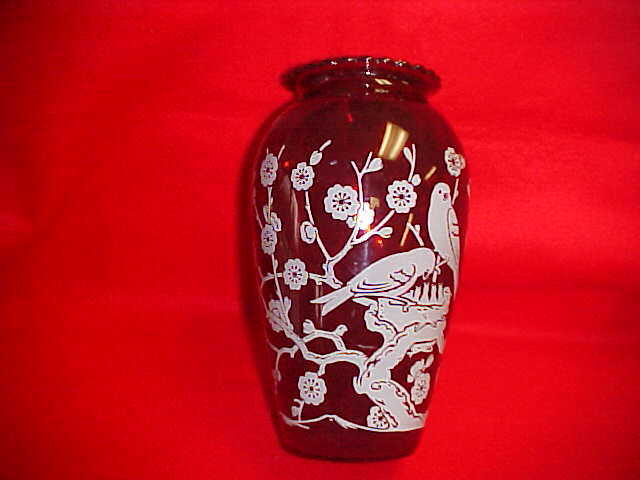 14" long x 8 "
Ruby red vase with adult birds feeding their young in the nest. This is a beautiful piece with no chips or cracks. 9 1/4" tall x 3" at the bottom. 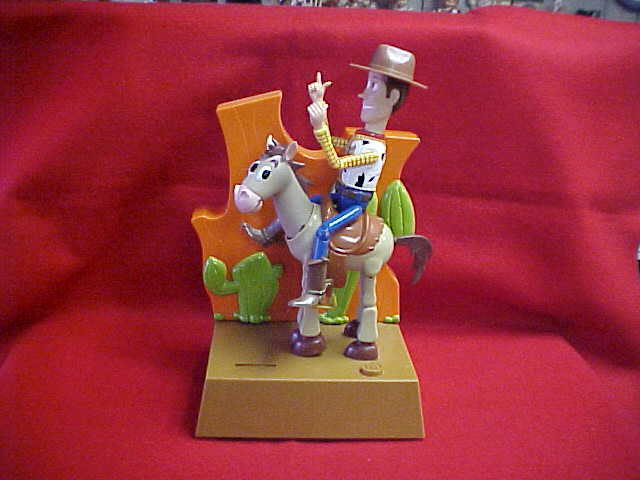 Woody toy story bank. The horse gallops and woody sings. It is made of plastic and in new condition. Battery operated. 13 3/4" tall x 8" wide. A wonderful collectable. 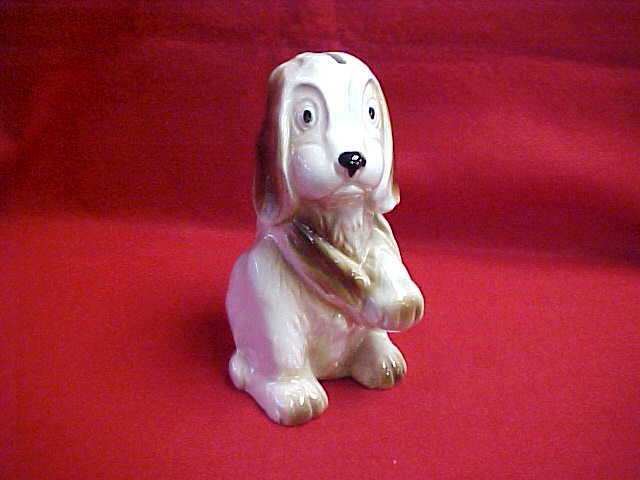 Ceramic injured puppy bank. Cream & brown. Puppy has one leg in a sling. 8 1/4" high x 6" wide. No chips or cracks. 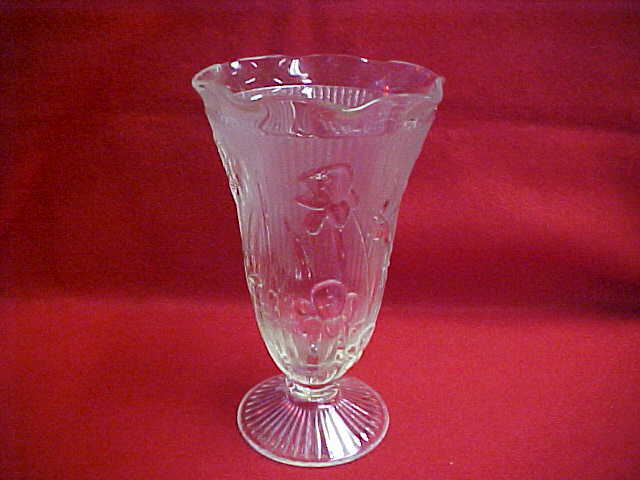 Iris clear glass vase (depression). 9 1/8" tall x 5 1/2" wide at the top. The vase is footed. No chips or cracks. 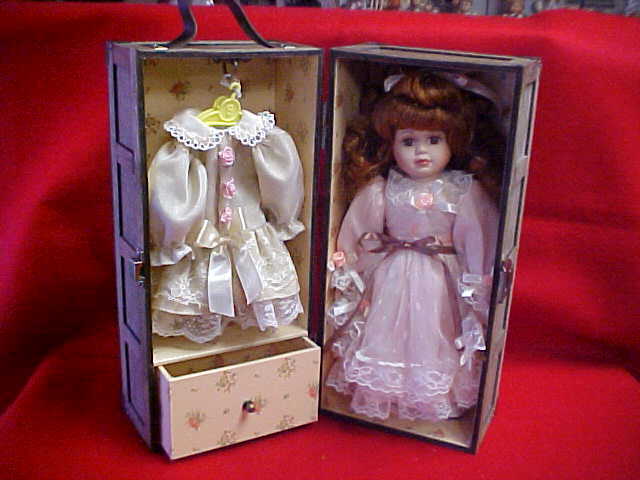 This beautiful red headed doll with her pink dress and rose's comes with her own case and extra dress. Near perfect condition. She is 12 1/2" tall and porcelain. 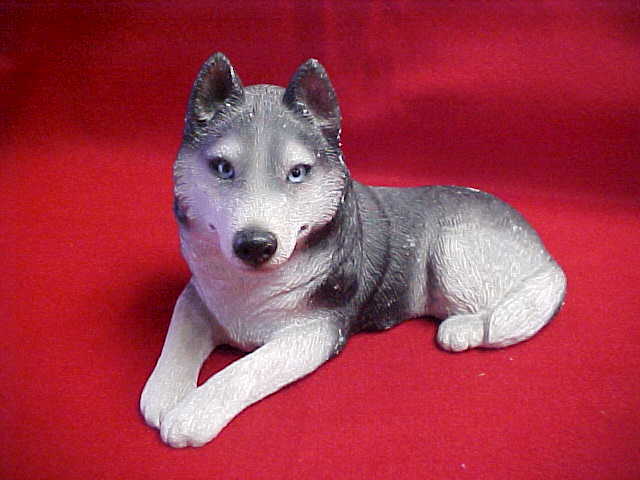 This is a sandicast figurine of an Alaskian Husky. It is black to gray to white. It has ice blue glass eyes. A wonderful scupture with original tags still in place. It is signed Sandra Brue. 9 1/4" long x 6" wide.